When I think of Halloween it’s hard not to conjure up images of jack-o-lanterns; kids in costumes going trick-or-treating; witches on broomsticks; black cats; ghosts; monsters; and dark, dark nights. And during the month of October, nothing beats a good, scary story — or a harmless creepy story for the younger set. The following books have been selected for their ability to connect readers to the feelings and images that are synonymous with Halloween. We’ve begun with the more innocent board books and then progressed slowly into the dark-and-sinister for the older and independent readers. So grab your broomstick and hold onto your hat … you are in for a treat! TCBR analysis: Thick durable pages with gorgeous glossy illustrations and fun lift-the-flaps are sure to entertain your little trickster. Publisher’s synopsis: The littlest trick-or-treaters can lift the flaps to count their way through a spooky old house . . . but they had better be prepared for a few surprises! With a die-cut cover, adorable illustrations, and a flap on every page, this sturdy little board book is the perfect Halloween gift for trick-or-treaters everywhere. 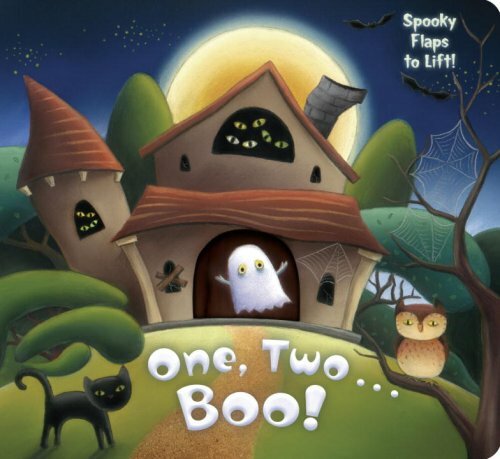 Add this book to your collection: One, Two … Boo! TCBR analysis: This adorable duo, Duck & Goose, always win hearts. Sweet and simple … just like a book about pumpkins should be! Publisher’s synopsis: Duck and Goose, where is your pumpkin? Is it in the log? Is it under the leaves? Is it in the apple tree? 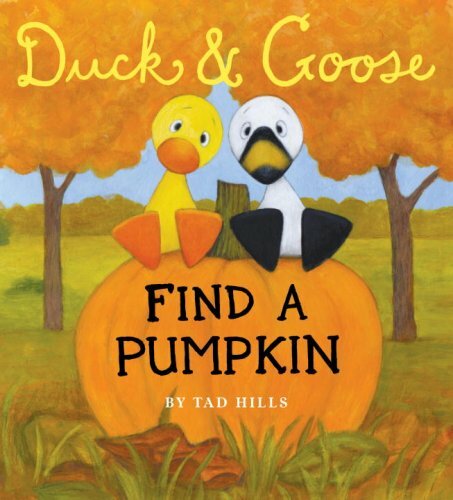 Preschoolers will surely enjoy going on a pumpkin hunt with Duck and Goose . . . especially when they find the perfect pumpkin at the end! TCBR analysis: The sturdy spin-the-wheel ghost makes for a fun novelty book. The rhyming is lively and the illustrations contain just the right amount of charm. Publisher’s synopsis: Happy Halloween—spin the wheel and watch Little Ghost float! He’s enjoying the spooky holiday with fun and flippy bats, a witch on a broomstick, a boney skeleton on the run, and lots of other Fright Night creatures. He’s even playing hide-and-seek with a mummy. Kids will love joining in, thanks to Little Spinners’ cool new format: a spinning disk on the inside back page that shows through a hole. As children read, they can turn the disk to the rhythm of the story and set Little Ghost aflight. Plus, the image on the spinner is lenticular, so it moves, too. It’s a real treat…and that’s no trick! 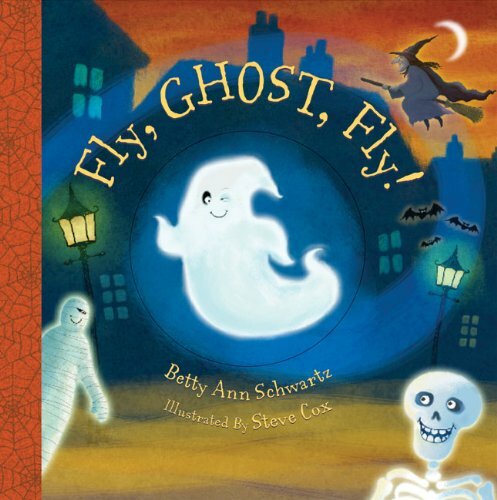 Add this book to your collection: Fly, Ghost, Fly! TCBR analysis: Classic and sweet, like a Golden Book should be! Publisher’s synopsis: ABC fun, dressed up as a Halloween book! Little ones will enjoy this colorful book about a bunch of trick-ortreaters from A to Z (an angel, a ballerina, a cowboy, and so on) and their fun, “spooky” adventures around the neighborhood! TCBR analysis: From licorice to pumpkin pie, the scents in this book are amazing! Adorable rhyme and delightful illustrations add classic appeal. Publisher’s synopsis: When the delicious aroma of chocolate, apples, and cotton candy fills the air, and ghosts, goblins, and gremlins roam the streets, it can mean only one thing: Halloween is finally here! 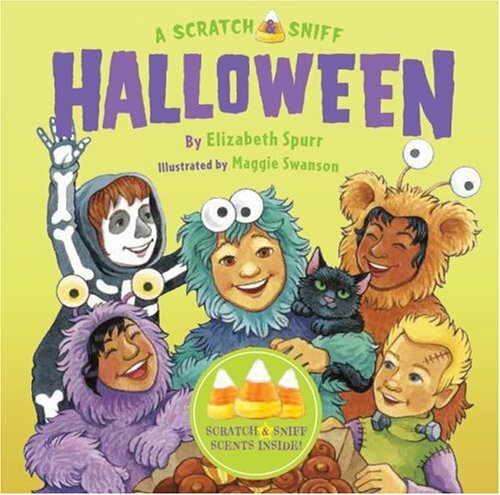 And this yummy-smelling scratch and sniff book captures the wonderful scents of the spooky season, from candy corn and licorice to cherry lollipops and pumpkin pie. With its fun, rhyming text, chilling and thrilling cast of creepy creatures and, of course, mouth-watering smells, this is the perfect gift for happy trick-or-treaters! Softly padding through the darkness, Moonlight the cat explores the world on her favorite night. With eloquently simple words and luminous, dazzling paintings, moonlight evokes the excitement of Halloween in a beautifully warm and reassuring way—giving the very youngest of readers a cozy, friendly Halloween experience. 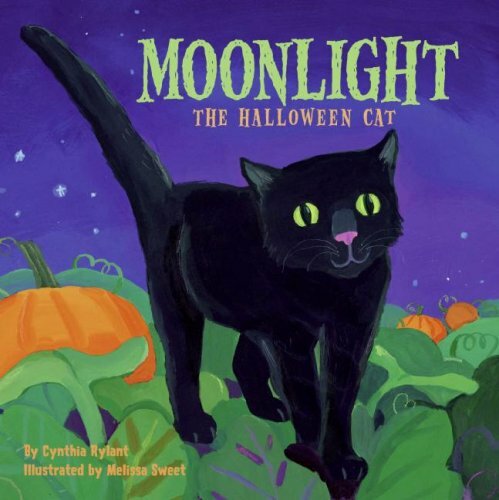 Celebrated author Cynthia Rylant pairs with the gifted Melissa Sweet to tell a lyrical tale of smiling pumpkins, glowing stars, and a very happy Halloween cat. TCBR analysis: Grossly cute rhyme is set off by cheerful illustrations. An entertaining read-aloud. 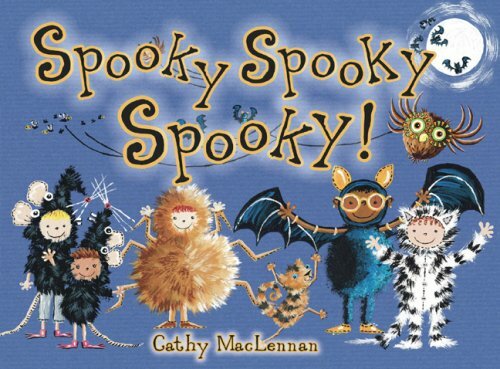 Publisher’s synopsis: Cathy MacLennan’s latest title is a wonderfully spine-tingling (but never scary) journey through the darkest hours of Halloween night. Spooky Spooky Spooky! features a cast of fantastically creepy characters, from velvety bats and horribly howling cats to slithering slugs and slippery snails. A weird and wonderful tale with rhythmic, rhyming text; fun, colorful illustrations; and a real “treat” of an ending! Add this book to your collection: Spooky Spooky Spooky! Fancy Nancy: Halloween … or Bust! TCBR analysis: A creative and spook-tacular edition to the Fancy Nancy series. Publisher’s synopsis: No one knows Fancy like Nancy . . .
. . . and no one knows Halloween like Nancy! 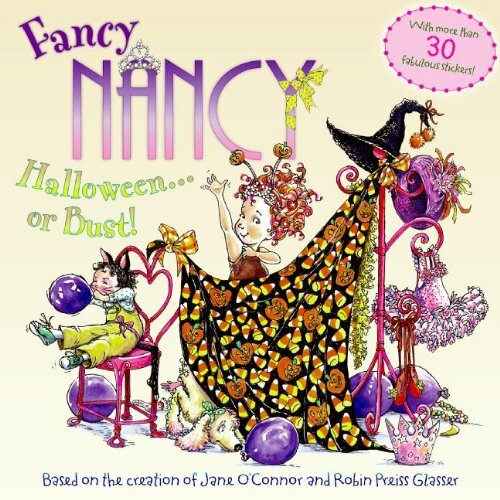 Add this book to your collection: Fancy Nancy: Halloween … or Bust! TCBR analysis: A delightful take on monsters. Fun and silly! 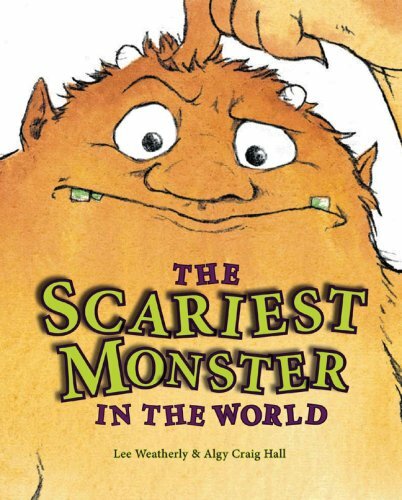 Publisher’s synopsis: Meet the scary, scary monster: his fur is wild and weird, he carries a club with giant bristles, and his teeth are green and mossy…because he never, ever brushes them! Worst of all, he stomps through the woods, shouting “GET OUT OF MY WAY!” And all the forest creatures do just that, hurrying and scurrying whenever they see him coming. But one day, the monster starts to hiccup—and no matter what he does, the hiccups won’t stop! Will the other animals help him…or will they be too afraid? All young readers will enjoy this humorous, wonderfully illustrated tale and its delightfully monstrous hero! TCBR analysis: The illustrations are eerie and completely complimentary to this imaginatively-creepy and lots-of-fun sing-a-long book. Publisher’s synopsis: This parody of “The Twelve Days Of Christmas” makes the perfect Halloween gift for little goblins. 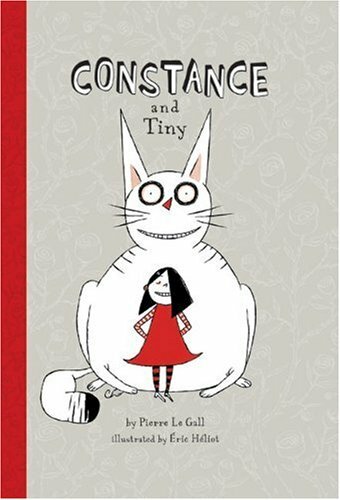 Its playful witty text and humorous illustrations will surely make it an instant classic. TCBR analysis: A bizarre — and oddly enjoyable — twist on a faithful classic. ‘Cause it made him feel sick! When he swallowed some ants, he danced in his pants. He swallowed a lizard, a bat, a jackal, and a bear. Then he tried to swallow a lion . . . ROAR!–Now that monster is no more! Children will laugh along with the funny text, bright bold illustrations, and delightful song. TCBR analysis: Weird, wacky, and wonderful! Rhyme-to-boot and exactly what one would expect from Dr. Seuss. The glow-in-the-dark illustrations are a brilliant bonus. Publisher’s synopsis: Dr. Seuss in a glowing new format! What were we waiting for? We’ve taken the classic Dr. Seuss short story What Was I Scared Of? 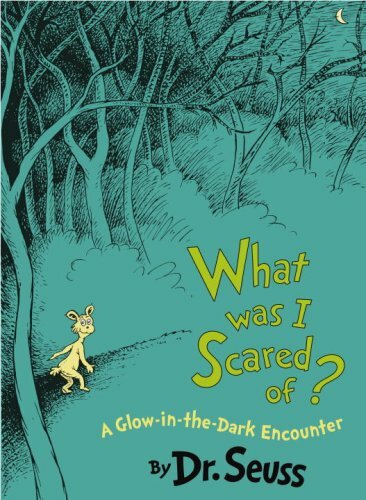 (from The Sneetches and Other Stories), added glow-in-the-dark ink, and created the ultimate just-slightly-spooky read for slumber parties and perusal by flashlight! Perfect for Halloween, this splendidly silly story about a narrator terrorized by an empty pair of pants (which happens to be equally terrified of the narrator) works perfectly well the rest of the year, too, delivering a timeless message about fear and tolerance to boot. Scaredy-pants of all ages will quiver with delight! TCBR analysis: A deliciously eerie read-aloud with illustrations that perfectly support the tale of a young mouse who dares to stray. Masterfully written. Publisher’s synopsis: A cautionary tale for mice reminiscent of Carroll’s Jabberwocky! And never hears approaching hisssss . . .
What will happen to the brave mouse Jam when he breaks the rules and goes for a moonlit adventure against the advice of the elder mice? 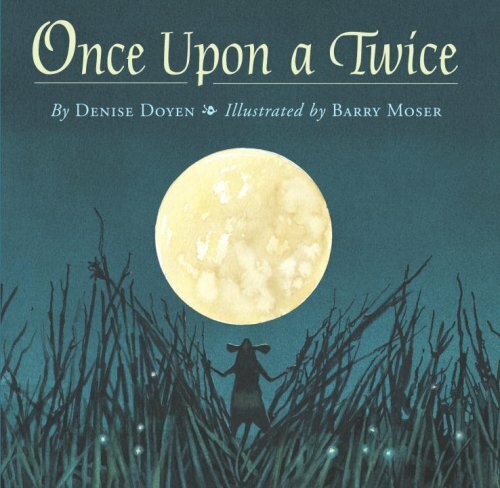 Award-winning illustrator Barry Moser has created a dark and vivid mouse world to complement this cautionary tale full of clever nonsense words and rhyming prose that will keep kids on the edge of their seats. TCBR analysis: “Where’s Waldo” meets “The Twilight Zone”. Curiously clever rhyme and illustrations that will keep eyes hungry for more. Publisher’s synopsis: Something strange is going on here! Children will really have to keep their eyes open if they want to see all the weird and wacky goings-on at the Hotel Splendide. That’s because the full moon seems to be having a peculiar effect on the hotel’s guests and staff: a portrait is being very rude, the maid’s getting sucked up by a vacuum cleaner, and the sausages have grown feet! Every spread provides a deliciously open, comic view of the hijinks, while the rhyming text directs kids’ attention to some of the crazier antics. Young readers will have hours of enjoyment searching the incredibly detailed illustrations. 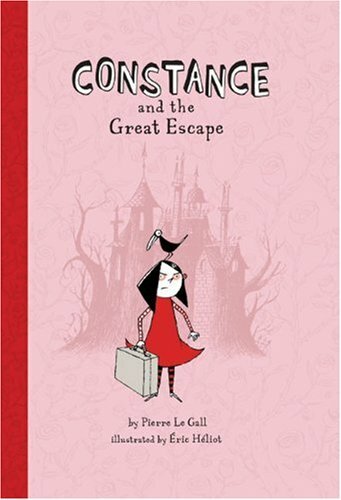 TCBR analysis: Creepy illustrations complete this wickedly-twisted and devilishly-amusing early reader book — reminiscent of The Addams Family. Publisher’s synopsis: Say hello to Constance, a sweet, grateful, good little girl—NOT! In fact, she’s a mischief-making, rule-breaking imp with a wicked gleam in her eye. Wherever she goes, trouble (and her enormous cat, Tiny) surely follow. That’s why children will go absolutely mad for her: Constance does exactly what they dream of doing in their naughtiest moments…and she’s never repentant. Making the delicious Constance stories even more fun: the comic contrast between the deadpan text and the outrageous illustrations. Like the cheeky character herself, the pictures always say the opposite of the words. TCBR analysis: A great encore to Constance and Tiny. Pitch-perfect mischief! TCBR analysis: Different, descriptive, and well-delivered. A treat for readers who dabble in monsters and mythology. This book is gorgeous and well put together. Publisher’s synopsis: Open this memoir…if you dare! For inside this rare collection of letters, notes, and interviews lie the choicest fruits of the monsterologist’s bone-chilling research. 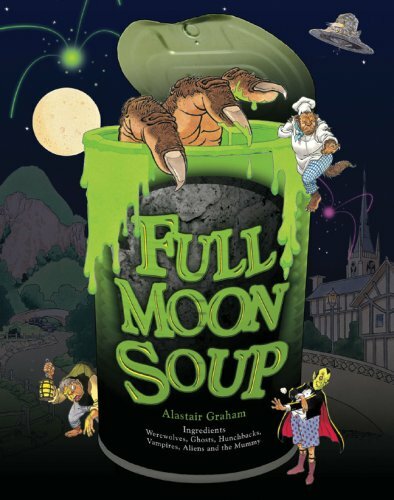 In engaging rhyme, the monster master tells all about Count Dracula (“When you visit Transylvania, be sure to stay with me”); issues a werewolf warning; and dishes on trolls, ghosts, witches, ogres, and myriad mythological and literary creatures! Designed to look like a treasured scrapbook, every page features an eye-catching mix of drawings, photos, and handwritten text. Plus, kids will love the die-cut, gatefolds, and other cool surprises throughout! TCBR analysis: Fresh and adventurous. Do we expect anything less from Mary Pope Osbourne?! Publisher’s synopsis: Jack and Annie are on their second mission to find—and inspire—artists to bring happiness to millions. After traveling to New Orleans, Jack and Annie come head to head with some real ghosts, as well as discover the world of jazz when they meet a young Louis Armstrong! 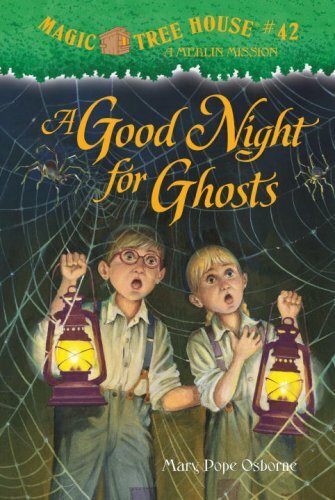 TCBR analysis: Spooky information based on real studies make this research guide the perfect companion to Magic Tree House: A Good Night for Ghosts (#42). The Pope sisters have such a great knack for story-telling and explaining — they make learning fun! Publisher’s synopsis: Fact and fiction meet–for Halloween! What are the origins of some of the famous ghost stories in Louisiana? Why do people believe in ghosts? Do most cultures have some kind of ghost stories? 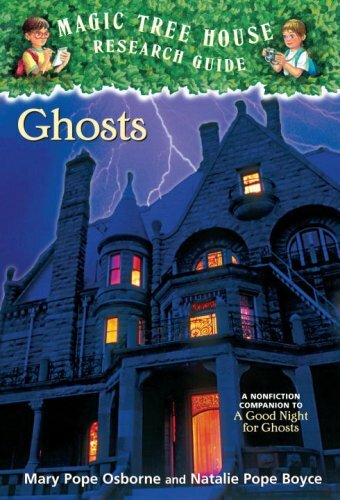 Find out the answers to these questions and more in Magic Tree House Research Guide: Ghosts, Jack and Annie’s guide to ghost stories from all over the world. TCBR analysis: A suspenseful mystery that is so full of action, readers will not want to put it done. Publisher’s synopsis: A plot to overthrow King Claudio is brewing in the Kingdom of Pergamontio. Scholarly Mangus the magician — along with his street-smart and faithful new servant boy, Fabrizio — have been marked as easy scapegoats for the traitor lurking within the king’s court. Together, these two unlikely partners must gather clues to solve the mystery and prove their innocence before the stroke of midnight. . . or face death! 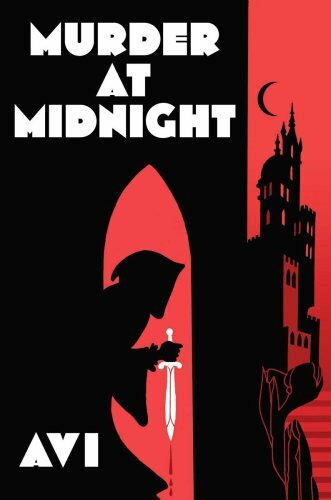 Intricate plotting, surprise twists, and lively prose make for another suspenseful page-turner that stands alone or sets the stage for MIDNIGHT MAGIC! Thanks for putting together this Great Collection! You’re very welcome! I hope you got some good ideas. Thank you for this list! I have a 7 and 3 year-old. 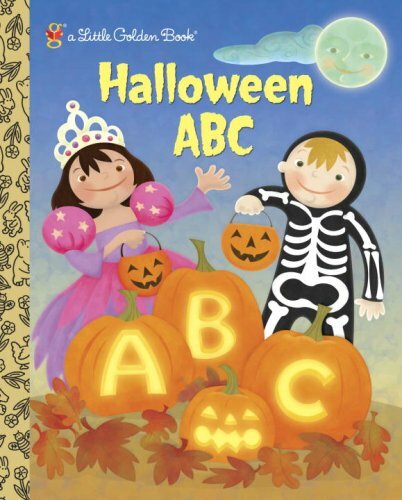 Our all time favorite Halloween book is ABCs of Halloween, written and illustrated by Patricia Reeder Eubank. We all love the rhyming and rhythm, and the illustrations give us so much to look at and talk about. Our new favorite was a librarian’s recommendation, A Happy Haunter’s Halloween: Trick or Treat by Debbie Leppanen. The poems remind me of Shel Silverstein’s. I thought it would be too creepy for my little guy but he loves the pictures. You’re very welcome! Thank you so much for sharing your Halloween faves with us, too.